2 标准编写组:《医院洁净手术部建筑技术规范( 报送稿) 》,2000年1 月. 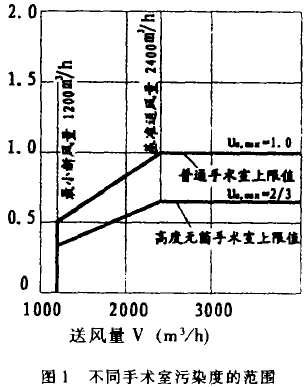 4 UK Department of Health and Social Services。Health Technical Memorandum 2025, Ventilation in Healthcare Premises.1994. 5 DIN 1946/4:Room Ventilalion Technique.Ventilationin Hospital.12.1989. 6 DHFW:Miriimum Requirement of construction andEquipment for Hospital & Medical Facilities.1979. 8 Associatmn of ODperaring Nurses.AORN StandardS andRecommended Practicea,1996.